NOTICE: Activation key must be used on a valid Steam account. Requires internet connection. About the gameExplore a living galaxy filled with alien civilizations, new and exotic worlds, pulse pounding combat, and a deep, rich history that is yours to unravel! The space role-playing game you've been waiting for!Congratulations! You are the Captain of Earth's very first interstellar ship. That'… s good. Really good. So very good. There's just one small problem. Barely worth mentioning but a hostile alien race known as the Scryve want to exterminate us. We need you to go find allies, discover and use these so-called Precursor relics to upgrade your ship and try to avoid getting eaten along the way so that you can save humanity. We don't want you to feel pressure though. Just the very future of the human race rests on your shoulders. Key Features Interact with aliens, both malicious and absurd. Explore a living universe that frankly can't believe you're flying around in that...thing. Travel across exotic and amazing worlds searching for relics, Precursor artifacts, and treasures. 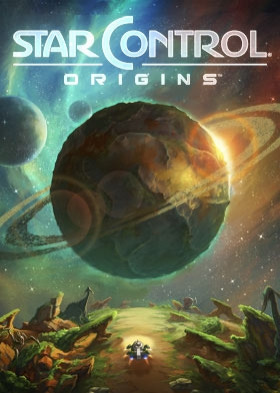 Navigate through thousands of planets in a universe that has a deep history spanning back hundreds of thousands of years. Design your own ships or download them from Steam to build fleets and take them into combat in fleet battles! Create or download other universes with their own history, stars, planets, aliens, ships and adventures. System Requirements Windows - MinimumRequires a 64-bit processor and operating systemOS: Windows 7 / 8 / 10 64-bitProcessor: Quad-core Intel or AMD processorMemory: 4 GB RAMGraphics: Intel Integrated 520 or equivalentDirectX: Version 11Network: Broadband Internet connectionStorage: 26 GB available spaceSound Card: DirectX Compatible Sound Card Windows - RecommendedRequires a 64-bit processor and operating systemOS: Windows 7 / 8 / 10 64-bitProcessor: Duo Core Intel or AMD processorMemory: 8 GB RAMGraphics: Video card with 2GB of video memoryDirectX: Version 11Network: Broadband Internet connectionStorage: 26 GB available spaceSound Card: DirectX Compatible Sound Card Copyright © 2018 Stardock Entertainment. Star Control® is a registered trademark of Stardock Entertainment.